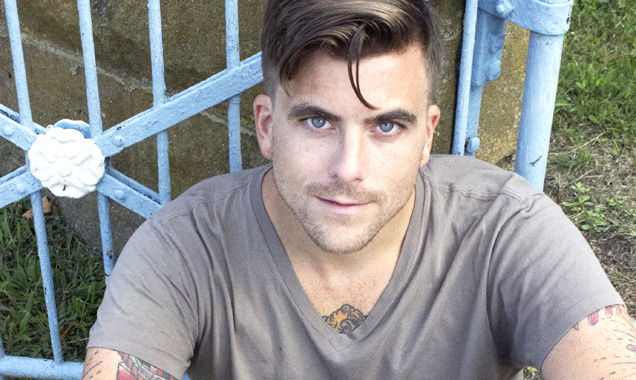 Contact Music caught up with Circa Survive frontman Anthony Green, ahead of the release of his upcoming solo album 'Young Legs', who spoke to us about experimenting with new sounds, fatherhood and finding 'legs' on the new record. 'Young Legs' is Anthony's third solo album and the follow up to 2012's 'Beautiful Things'. It's released on February 17th 2014, just before his upcoming tour of the UK with The Deer Hunter kicks off at Bristol on February 24th. ContactMusic: How are you doing? Anthony: I'm doing good. Right now I'm in the car with my wife and children; I'm heading to the studio to go sing this cover song with Sam Mean from The Format. He's got this merch company and he asked me to do a cover of a Lana Del Ray song with him for Record Store Day, so he's done the music and I'm doing the vocals. CM: You seem really busy! Anthony: Yeah! I'm also working on Circa stuff like crazy as I have a bunch of demos I have to put vocals to; I've just been working a lot every day. It's weird; I'm busy right now but it's only been about two weeks. Before this I was pretty much taking it easy; I was on tour but then I'd come home and relax. I seem to be really busy for condensed periods of time and then I can take it a little more easy.